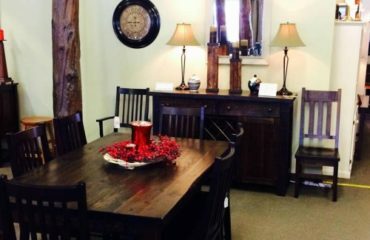 A sideboard is like the lower part of a buffet and hutch, what makes a sideboard different from a buffet is the height. Generally buffet heights (without the hutch on top) are around 30 inches high (the same height as a dining table). Sideboard heights can go from 32 inches and surpass 45 inches high. If you have high ceilings (9 feet or higher) this could be a great addition. Hang a large picture, set of prints, or a large mirror centred above your sideboard and frame that with two tall lamps on either side. Doing this grounds the sideboard and naturally draws the eye up. More clients have been opting for a sideboard as a singular source of storage in the dining room instead of the buffet and hutch. This has been an ongoing trend and has staying power in both the short- and long-term. However, there will always be the classic look of a buffet and hutch with shining lights and glass shelves to showcase your treasures. 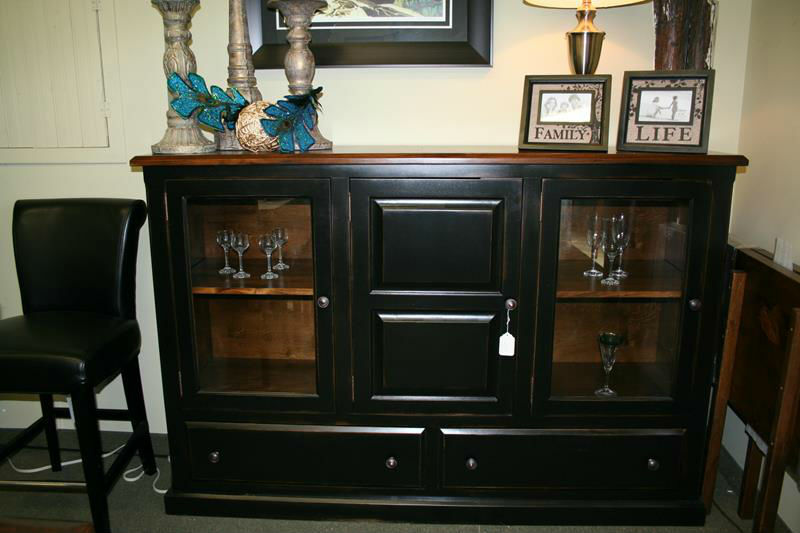 If you already have a buffet and hutch, consider adding a sideboard as a secondary storage unit. This will instantly update the look of your dining room. Sideboards vary in size and styles come in 2- ( approximately 48” wide), 3- (~60”), and 4-door (~72”) widths. Some options for sideboards are wine racks in the centre of a 3-door sideboard or glass doors to make the piece interesting and fresh. Wallpaper behind your new sideboard in bold, classic print for an instant update! Some people choose a different stain colour for their sideboard than the rest of their dining room furniture. Others opt for a painted look in a darker colour to really draw the eye to the sideboard. You can also have your sideboard finished with a rubbed look, which gives a retro antique look. 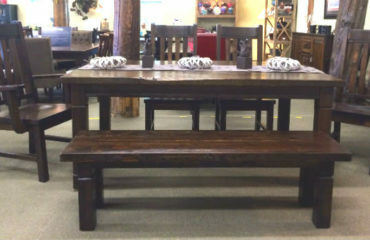 We’ll do the underlying stain could to match your dining set and bring everything together – fresh and full of character! Styled for today; constructed for life!